So today I want to talk about one of the most important things in all of our lives: GROCERY SHOPPING. 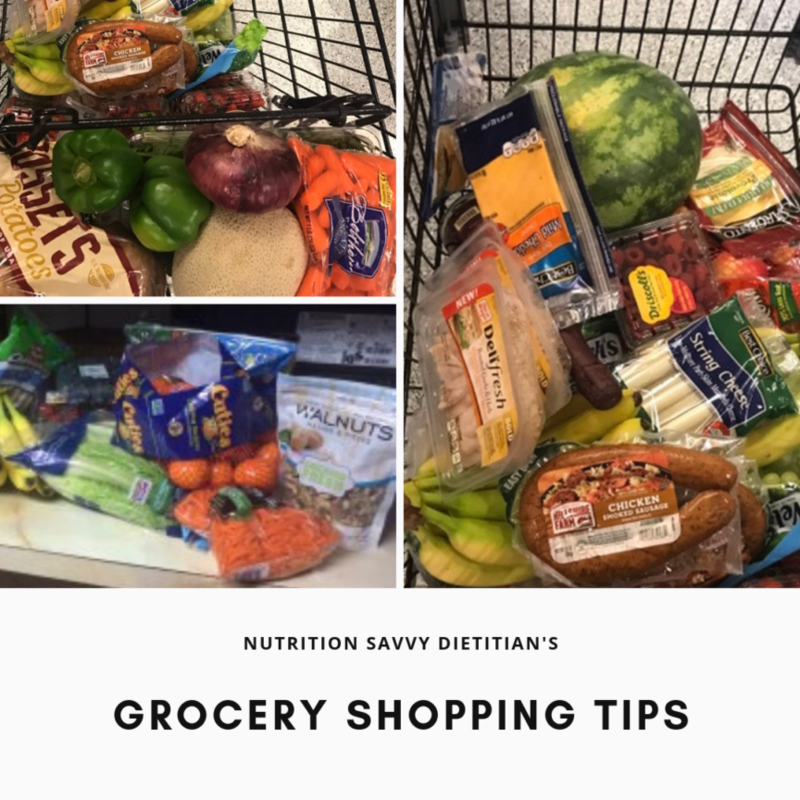 There are a lot of do’s and don’ts when it comes to grocery shopping, and most of us think that we know what we should be doing. But the truth is most of us go to the store while we are hungry, without a shopping list, and just grab whatever we ‘think’ we will cook during the week. If you do this, a lot of food will go to waste and you’ll likely have many different items but nothing to make a solid meal for a few days or even a week. 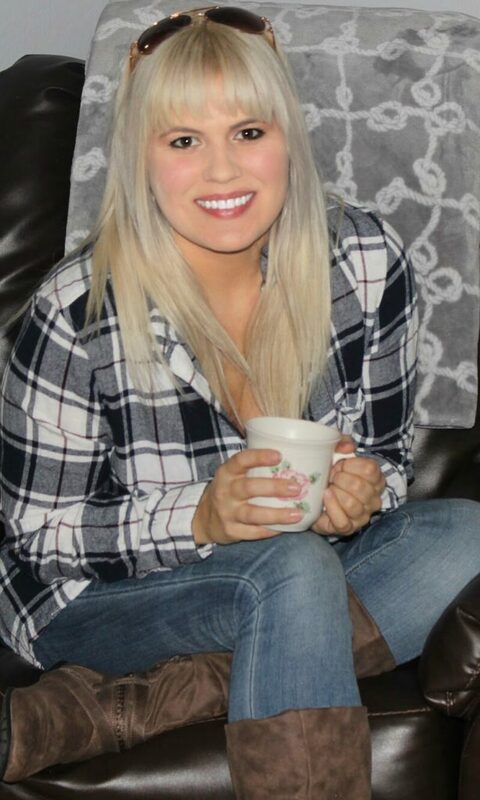 To start off, lets talk about a grocery list. Who uses those ancient things anymore? I remember my mom writing down everything that she needed to get at the store and getting to the store and realizing that she forgot her list. It was pointless. I like to use the notes section on my Iphone. With everyone having a smartphone today and bringing it everywhere they go, it is a foolproof way to always keep your grocery list with you! You should also NEVER go to the store for food when you’re hungry. You’ll wind up buying those cupcakes or chips that are calling your stomach’s name the entire time you’re in the store. Then you’ll eat the entire thing on your ride home. I often hear that fresh fruit and vegetables are too expensive. My clients have told me this time and time again. Check your location newspaper for sales and get the fruit and vegetables that are on sale! Planning your meals ahead of time for the week will help you know what you actually need from the store. 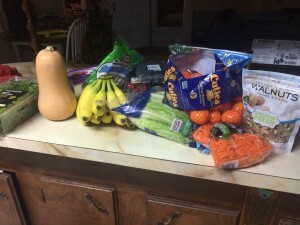 The new thing of Walmart pickup and Target pickup can really help with grocery shopping for things you actually need for the week or use! This was my last week’s grocery shopping for the week. If you look closely, you can see that I have spinach, squash, bananas, string cheese, romaine lettuce, cutie oranges, shredded carrots, blueberries, strawberries, walnuts, dressing, and yogurt. Obviously, I already had purchased my meat and milk for the week before I went shopping. But what I want to show you is what types of food you should be purchasing when you go into a store. In order to understand what I am saying and how you should grocery shop, I want you to picture your grocery store. I use Rouse’s, but I know that not everywhere has a Rouse’s. So let’s take a moment here to picture your grocery store. Are you picturing it? When you first walk in, what is right in front of you? Is it the fruit and vegetable section? That is the first thing that I see when I go to my store and it takes up 1/4 of the store. There is good reason behind that! 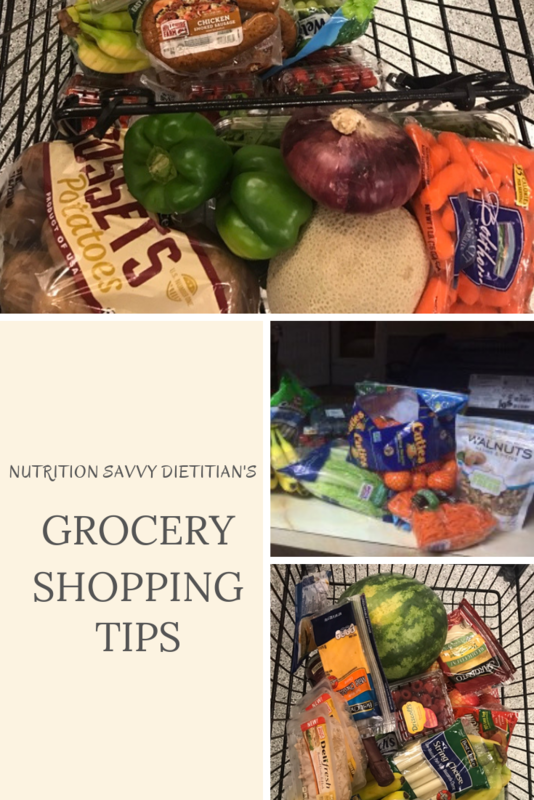 You should have a lot of fresh fruits and veggies in your cart when you leave. Majority of the grocery stores that I have been in have the fruits and vegetables in the very front. Now there is always the thing of cost because the majority of us are on a budget. I can’t go to the store and spend $500 on groceries every week. So if your local ad doesn’t show any fruit and vegetables on sale, go to the frozen section and buy frozen fruit and vegetables. This is not only cost effective, but it also allows you to keep it longer without worrying about the food expiring. So the next section of the grocery store that I usually get to is the cheese section. You should be choosing low fat cheese. It’s simple to spot. It will say made with skim milk on it. That is the cheese you want! If you want to save more money you can purchase the blocked cheese and shred or cut it for whatever dish you are making. Now the next section for me would be frozen fish/seafood/meat section. You should be choosing lean cuts of meat. This means chicken breast, shrimp, fish, 90/10 ground meat, or red meat with little to no fat on it. From here, you have the bread aisle and rice. You should be choosing whole wheat bread, brown rice, and whole wheat tortillas. At this point, you shouldn’t have much left of the store to go through. Here is the best trick to staying away from the food that is bad for you – AVOID the middle isles with the candy, chips, and snacks. If you like to use canned foods, try to get the lower sodium cans of food. The only cans of food that I usually get are tomato sauce, petite diced tomatoes, and tomato paste. From there, you should have the frozen section. Here you can find frozen fruit and vegetables! Bring a list with you of everything you need for the next week. AVOID the middle isles with the candy, snacks, and chips. Choose more fresh fruits and veggies and also frozen fruit and veggies. Choose lean meats such as fish, chicken, and seafood. AVOID pork and the heavier fat red meats (80/20 ground meat is an example – choose 90/10). Choose skim milk over whole milk or 2% milk. AVOID going to the store hungry.